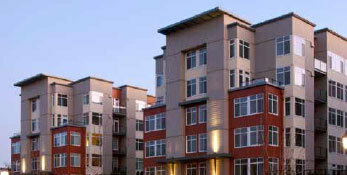 VPI manufactures three different window & door systems, each with a particular end market in mind. We have intentionally kept the number of systems to a minimum, and have focused on customization within the product families, instead. VPI has produced over 5,500 different configurations across these three series – whether it be a bespoke, shape window, or a multi-operable, nine panel window, VPI has the engineering and manufacturing capability to fabricate your ideal window. Our newest product designed for commercial applications up to 20+ stories. The Envision Series offers inward-projecting casements and hoppers, as well as in- and out-swing patio doors. 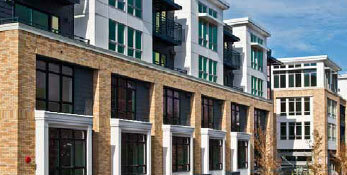 VPI's light commercial product designed for 3 - 12 story applications, typically mid-rise, multifamily buildings. The Endurance Series offers outward projecting casements and awnings, as well as fixed, vertical and horizontal sliding windows. 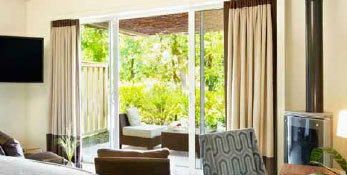 VPI's patio sliding door that can be used with any of our other product series. All of our Bellevue Doors are made to order and can be fabricated in multi-panel, continuous frame configurations.